To strengthen students’ English proficiency so as to bridge up with their junior year abroad and to adapt them to multicultural environment, which can in turn broaden their global vision and establish their connections to their future job markets. To utilize whole-English learning environment to attract interactional students, students from mainland China and overseas Chinese students included, so as to intensify globalization. To form practice-theory integrated programs and offer students internships for at least one semester so as to give them an edge in the job market. 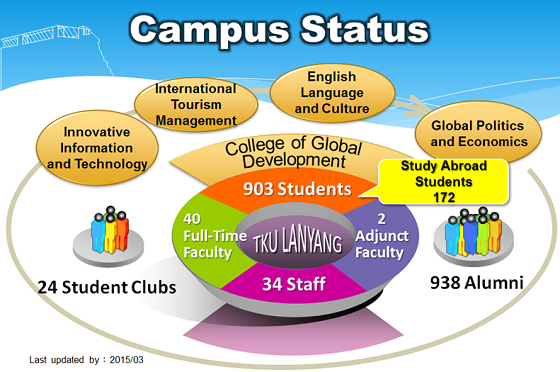 To recruit faculty members of multicultural backgrounds and multi-nationality and those who care about student. To utilize the advantages of a residential college so as to bond teachers and students together and to establish ethics on campus.